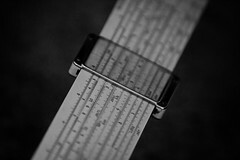 (Today's post is a guest post from Bernie Smith from madetomeasurekpis.co.uk. In it he lists seven ways in which the use of Key Performance Indicators can make your processes worse). Most people nod vigorously and agree that KPIs and measures are a "good thing". Used sensibly they are, but many organisations are actively undermining their process improvement through the poor use of measures. Here are some of the most common pitfalls and some ideas on how to tackle them. 1. KPIs that show you only part of the picture. KPIs and measures can be wrong in a number of ways (and often several ways all at once!). They can be incorrectly defined (I've seen countless organisations define OEE incorrectly), there can be variable definitions within the same organisation, there can be spreadsheet arithmetic errors, and there can also be wide variations in the understanding of what those measures are showing. The solution is simple, although it can be demanding: create a KPI database. This can be pretty simple (link to the checklist on my site: http://www.madetomeasurekpis.com/2011/post/tools_to_help/kpi-definition-checklist/) but it is key that there's one clear definition of each measure, with the issues and inaccuracies also recorded and maintained. We have all been rushed off the phone by a call centre employee who is measured on AHT (average handling time) rather than something more meaningful (like total time to problem resolution). People generally behave rationally, it's often the measures that make then do odd things. One way to avoid this is to simply ask your team "What do you find yourself doing to make the numbers that doesn't feel right to you?". There's an old joke about being able to produce a perfectly accurate 7 day weather forecast, only it takes 14 days to create. Often the analysis produced in organisations is too old to be enable effective decisions. This leads to one of two choices: stop producing the analysis or improve the KPI production process. I've worked with teams of 40 or 50, all dedicated to creating reports and dashboards. Some of the work will always require a human, but most won't. The first port of call should be looking to automate much of the tedious Excel legwork that seems to happen in most corporations. Next look at quick-to-implement BI tools like Qlickview and Tableau (there are a couple of first-look reviews http://www.madetomeasurekpis.com/2011/post/first-look-qlickview-10-data-visualisation-software/ and http://www.madetomeasurekpis.com/2011/post/review/first-look-tableau-6-1-data-visualisation-software/). In the long term a consolidated data warehouse can yield benefits, but has a high capital cost and can introduce as many problems as it solves. We've all seen it, measures being used as a club by aggressive managers. There really isn't a KPI fix here, it's all about addressing those behavioural issues with the managers and making it clear that KPIs are not an instrument of torture. But be certain that if you don't address this issue it will shatter peoples enthusiasm for measurement (and management). Most humans can hold between 4 and 7 "chunks" of data in their mind at once, so how do they cope with 95 page "Risk and Compliance" reports. Put simply, they don't. In this situation they skim through, looking for exceptions and at their "pet" measures. Dashboard and report design is a big area, but this link http://www.madetomeasurekpis.com/2011/post/howto/how-to-build-a-brilliant-dashboard/ gives a few starting tips. About the author: Bernie has helped his clients deliver surprising levels of improvement across a wide range of industries over the past 15 years. His mission is to help clients with a repeatable, practical and jargon-free method for generating insightful and clear KPIs and management reports. He understands that most people don’t get excited by KPIs, but believes it’s a curable condition..